It was successful protest, we were live and direct in the streets of Aba, Abia State. 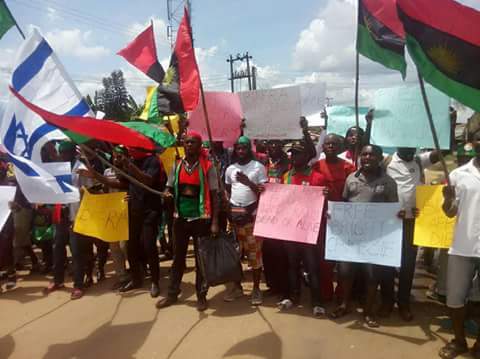 Abia province was grounded by peaceful IPOB members who were on rally/evangelism. 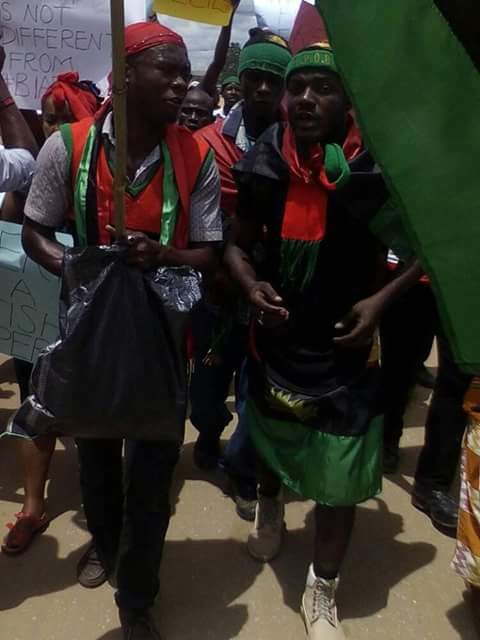 Aba was in stand still, IPOB has started their peaceful rally for referendum, we want Biafra referendum, or we will all die..
IPOB led my the leader of the Indigenous people of Biafra Mazi Nnamdi Kanu is currently in rally now , over the abduction of it's leader Mazi Nnamdi Kanu and his parents, the extra judicial killing of it's member, illegal detention of Biafrans and a call for referendum.